Gathered together, we have the opportunity to listen to one another. One of the great things about the 2015 CBF General Assembly this year is being able to listen to a multitude of voices from across the Fellowship. One way we can listen to one another is through the prophetic spoken word of preaching. The Academy of Young Preachers has teamed with CBF to provide a space for young preachers from the Fellowship to practice the art of preaching and to share the message that God has given them. During the second session of workshops on Thursday, four young preachers gathered together to share messages of liberation and hope. Each young preacher was given the theme of “Heaven and Earth.” The Academy of Young Preachers provided a set of scriptures that discussed the theme and asked each young preacher to pick, study and share a sermon based off of the texts. The young preachers did not disappoint. Timothy Cruise reminded us that our nightmares don’t have to control us. In the midst of the chaos in our lives, and all the suffering that happens to us or around us, Timothy reminded us gathered that through chaos comes new creation. After exile comes deliverance, newness, and life. Our nightmares can control us and sometimes we fear we may never wake up, but Tim reminded us that, “In the midst of exile, of life making little to no sense, God, like a mother, has snuck into our bedroom to wake us up for a new day.” Even though we feel hopeless, God is ready to wake us up to new life. Lauren McDuffie reminded us that our laments are valid. With everything crashing down and destruction all around us, we have to ask, Where is God? When we start to ask where God is and we never see or hear God, it becomes even easier for us to say I give up. Lauren spoke words from the prophet Joel reminding us all that God is not somewhere else during times of suffering, but God is right in the middle of it suffering with us. In the midst of suffering, our lament of where is God is valid, but as Lauren reminded us, perhaps there is a better question to ask. During times of suffering and struggle, where are God’s people? Merianna Neely Harrelson reminded us of what a true journey with God is like. She shared her own story of discovering her call to be a preacher and how others did not respond well to that call. She shared stories of her bruises and hurts as she walked faithfully in the calling God had for her. Merianna offered us a promise of what it is like to follow God, “You will get bruises, you will bless, and you will hurt. You will encounter people with bruises, people who bleed, and people who are hurt.” Her message and call was to remind us that we are all hurting people and it is only when we start to tear down walls the divide us and build bridges to one another that we can start to look more like the kingdom of God. These four incredible preachers shared messages of liberation and hope. They issued a call to the fellowship to walk along side those who are suffering and see all of creation through Gods eyes. They reminded the fellowship to realize that in the midst of chaos and turmoil, that God is there ready to create newness and new life. They reminded the fellowship that our laments in times of distress are valid, but perhaps we should be asking where are Gods people instead of where is God. And these young preachers reminded us that walking with God is not easy, but when we do it, we can build bridges and begin to look more like the kingdom of God. 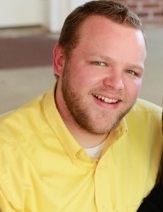 Justin Sizemore serves as Ministry Associate with Youth at Smoke Rise Baptist Church in Stone Mountain, Ga. He is currently working on his M.Div at McAfee School of Theology in Atlanta, Ga.